Exposure to acetaminophen (Paracetamol) — commonly used pain-relieving medication — during pregnancy is associated with an earlier onset of puberty in their daughters, according to a new study published in the American Journal of Epidemiology. 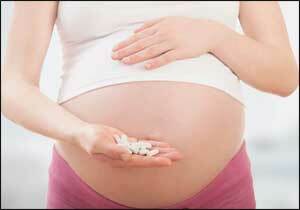 Male pubertal development, however, had no strong association with acetaminophen exposure. Andreas Ernst, Department of Public Health, Section for Epidemiology, Aarhus University, Aarhus C, Denmark, and colleagues explored the association between exposure to acetaminophen during pregnancy and pubertal development using data from 15,822 boys and girls in the longitudinal Puberty Cohort, nested within The Danish National Birth Cohort. Puberty onset in girls is characterized by the development of breast, pimples, and hair growth in places where there was none previously. It generally begins when a girl attains the age of ten or eleven. “We found a ‘dose-response’ correlation. That is to say, the more weeks with paracetamol during pregnancy, the earlier puberty in girls, but not in boys,” says Ernst. “Our results suggested a tendency towards slightly earlier attainment of almost all studied markers of female pubertal development with increasing number of weeks of exposure (i.e., about 1.5–3 months earlier age at pubic hair, axillary hair and acne development comparing unexposed with those prenatally exposed for more than 12 weeks,” write the authors. “While entering puberty one-and-a-half to three months earlier may seem unimportant when taken together with the frequent use of paracetamol during pregnancy, our findings ought to make people take notice. Our results are certainly not the decisive factor that should change current practice, but the perception of paracetamol as ‘the safe and harmless choice’ during pregnancy ought to be challenged,” explains Andreas Ernst. “As earlier pubertal development has previously been tied to an increased risk of more frequent and serious diseases in adulthood such as obesity, diabetes, cardiovascular diseases, and testicular and breast cancer, it’s important to identify possible causes of early puberty so we can prevent this development,” says Andreas Ernst.